Microsoft Outlook stores all of your information email information inside a single file with a .pst (Personal Storage) file extension. This includes email messages, contacts, calendar entries, notes, tasks, etc. Unfortunately the .pst file format is not particularly robust and can easily become damaged or corrupt. This usually means complete loss of access to your important email! Microsoft's answer to the problem of pst corruption is "Scanpst.exe", also known as the "Inbox Repair Tool". Scan PST is a hidden file that is installed automatically when you install Windows. Scan PST, as its name implies, scans and attempts to repair Outlook 2002, 2003 or 2007 .pst files from specific corruption issues. Scan PST may cull large numbers of recoverable messages during a recovery to leave a repaired pst file that is a fraction of its former size. Scan PST can be difficult to locate in your installation of Windows. The usual location is under C:\Program Files\Common Files\System; and then in a folder called "MSMAPI" or "MAPI", then 1033. We suggest that if you try Scan PST then you also download and run Recover My Email on the same pst file and directly compare the results. 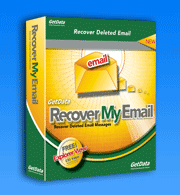 In almost all cases, Recover My Email will find and extract more email messages from the damaged file. Important: Before running Scan PST, or other email recovery programs, make a separate backup and a working copy of the problem .pst file.